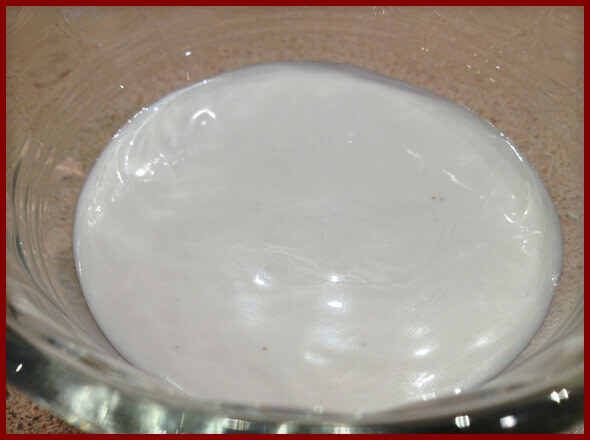 It’s an awesome vegan, dairy-free replacement for heavy cream in numerous recipes. From pastry creams, ice cream, soups to purees, cashew cream creates the lucious, creamy texture heavy cream gives. Except it’s dairy-free. It’s made with good fats. It’s guilt-free. And it’s super easy to make. Woo-hoo! Cashew Cream vs. Pearl Jam: who rocks my world more? I’ll never forget the first time I listened to Ten. My mind, body, and soul – blown. Whole-self simultaneous explosion. Dare I say, harmonious. It’s hard to believe that was back in 1991, and it rocks my world every day when I listen to the Pearl Jam station on Serius/XM, clearly considered, “classic rock.” Whaaat? If PJ is classic rock then what’s SuperTramp, Boston, CCR, and and CSN? Crap. How old am I? 30…right? Cashew cream. Well, I won’t follow it to concerts. I won’t sing with it or fist pump along as it blends in the blender. It probably won’t reach in and touch my soul in the way only Eddie has for the last 24 years. But it has revolutionized the overall flavor of my dairy-free, vegan food. It plays Jedi mind tricks making you think there is full-on dairy in food that has none. Powerful stuff. Yoda style. Who wins the battle? Pearl Jam. No doubt. But the fact that cashew cream can even get in the ring should tell you how freaking awesome it is. It’s a must try. Even if you eat dairy, cashew cream makes a delcious, healthier option to heavy cream. Cashews are full of oleic acid, a heart healthy monounsaturated fat, like olive oil. They are also high in magnesium and copper. Good for hair, bones and vital processes in the body. Research also links them to colon cancer prevention because they fight free radicals. Yay cashews! If you hate cashews you can make a nut cream from just about any nut. Cashews make the closest thing to a heavy cream replacement, but I make almond cream, walnut cream – sky is the limit! Watch this video and see how easy it is to make cashew cream. It’s just minutes away! Simmer covered for 15 minutes. Blend in blender on high for about 1 minute. Use in soups, sauces, pastry creams, ice creams as a vegan, dairy-free, healthy replacement for heavy cream.